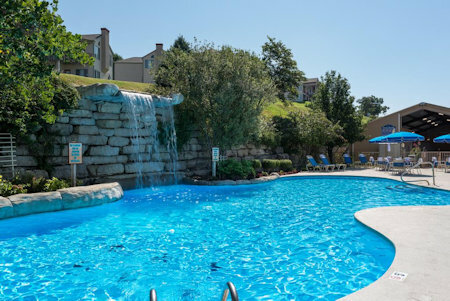 Westgate Branson Lakes at Emerald Pointe in Branson, Missouri! Bid on a 7 Night Stay in a 1 or 2 Bedroom Suite! 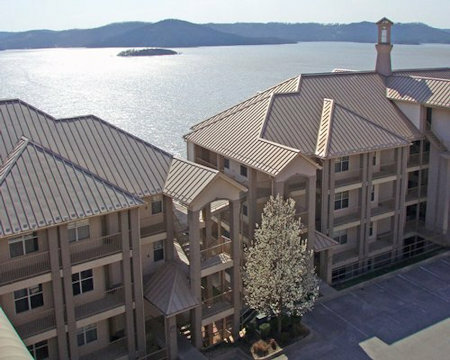 Enjoy a 7 Night Stay at Westgate Branson Lakes at Emerald Pointe in Missouri! Nestled in the heart of the Ozark Mountains, Branson is known as "The Live Entertainment Capital of the World." Live entertainment and shows, as well as spectacular lakes, championship golf courses, theme parks, outlet malls and eclectic restaurants make Branson a remarkable vacation destination for visitors of all ages. Enjoy both an outdoor and indoor swimming pool, exercise room, daily scheduled activities for guests of all ages, shuffleboard courts, horseshoe pits, sand volleyball court, playground, campfire area, clubhouse, bike rentals, on-site entertainment, concierge, and shuttle service. A daily breakfast buffet is available for a nominal fee. Meeting facilities are also available. 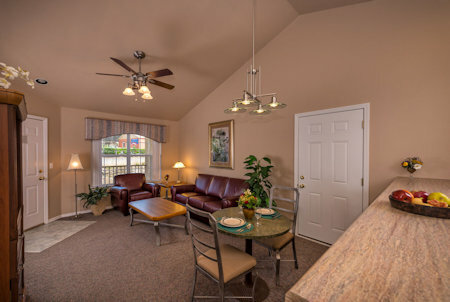 Our comfortable one- and two-bedroom suites feature fully equipped kitchens, dining rooms, spacious living rooms with fireplaces and whirlpools. 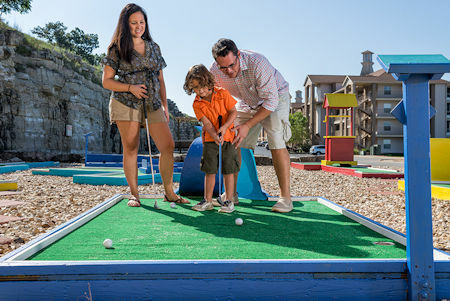 Known as the "Gem of Table Rock Lake," Westgate Branson Lakes at Emerald Pointe is nestled in the Ozark Mountains just minutes from the world-class entertainment and discount shopping opportunities of Branson. Here you'll find all the elements that make up a perfect vacation, including sparkling lake views, spacious accommodations, and access to a wide variety of area water sports for the entire family such as boating, fishing, water skiing, parasailing or just relaxing in the warm waters on a sunny day. Each of the one- and two-bedroom luxury villas at Westgate Branson Lakes at Emerald Pointe features a fully equipped kitchen, spacious dining and family room, and washer/dryer. In addition, some of the villas offer whirlpool tubs and private decks facing spectacular Table Rock. Nearby amenities include a lakeside marina and boat dock. Many on-site amenities are also offered, including an outdoor and indoor swimming pool, fitness room and a 9-hole miniature golf course. UPGRAGE TO A 2 BEDROOM SUITE FOR ONLY $100 FOR THE WEEK! 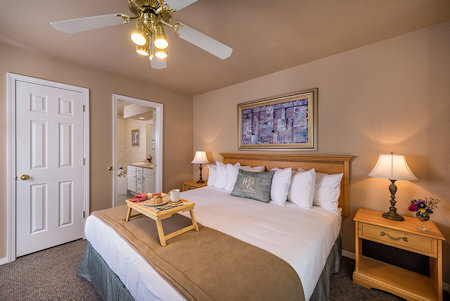 Your 2 BEDROOM SUITE will accommodate up to 8 with a full kitchen.